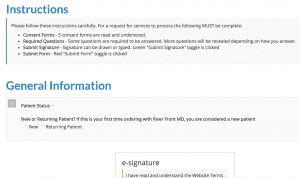 I’m excited to share my personal review and experience with Riverfront MD. I lost 90 pounds back in 2002 with Hcg injections and kept it off for over 10 years. And then… I had a baby! During pregnancy and breastfeeding, I gained 45 pounds. 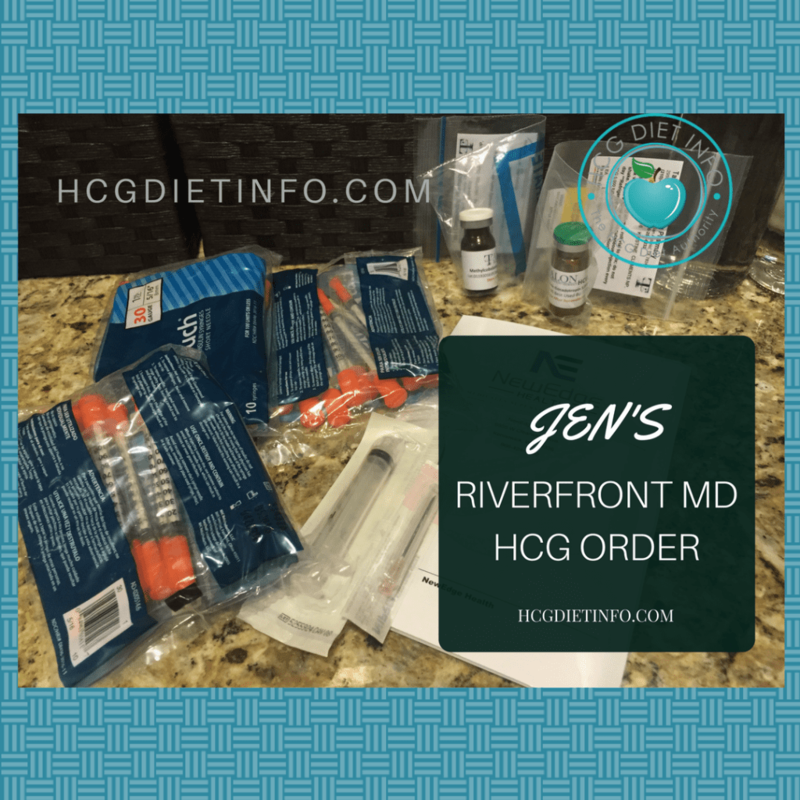 I decided to take this opportunity to explore the Hcg Diet Plan once again, and Riverfront was my choice for Hcg injections this time around. I chose them because they were in the USA and were completely transparent, sharing their potency certificates and staff where I could easily see them. Another reason I chose them? They were less expensive than all other USA Hcg sources, which was a huge plus, given the new baby expenses. Location: The first thing I love about Riverfront, is that they are located right here in the USA, in Florida. They are also a legitimate, FDA approved telemedicine clinic, providing a number of medical treatments through licensed medical doctors and nurse practitioners. Their prescription products are manufactured and ships from a licensed compounding pharmacy also located in Florida. I’m planning to investigate and share every possible detail of my experience this time around. that includes testing out my own Hcg suppliers and sharing my journey through my blog. First let me say, that I placed this order as just another patient, without mention that I was the founder of Hcg Diet Info. I wanted to experience their sale, prescription and coaching process as any one of my readers would. If you are familiar with my blog here, you already know that I am ridiculously strict when it comes to recommending any product or service on this site- I have high standards and an even higher concern for safety. 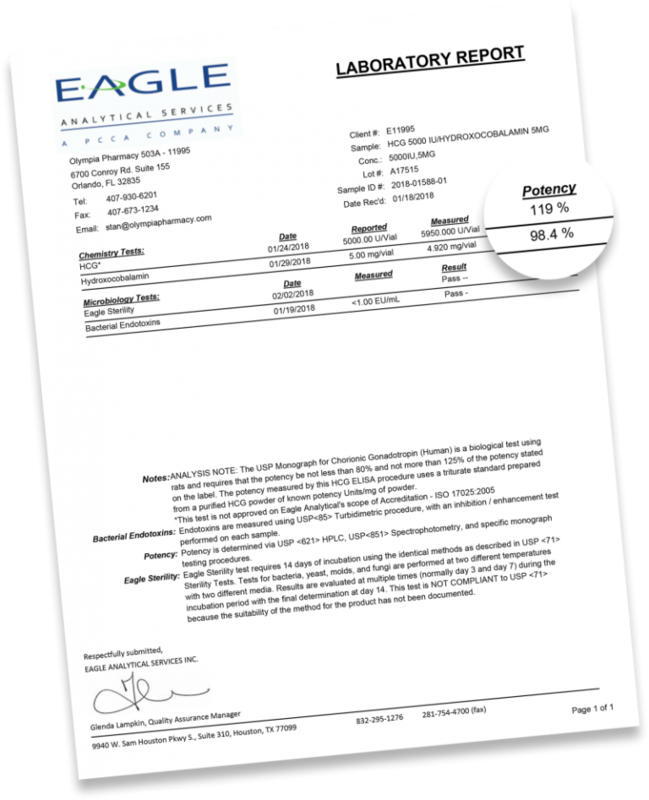 With that said, I can assure you that I have thoroughly researched (and downright interrogated) each and every telemedicine company I recommend for buying REAL Hcg injections and REAL hcg drops online. With that said, I already trust them explicitly and had no concerns with placing an order through them. What’s to come! I am planning to use each of my recommended suppliers in the same manner. Maybe I watch too much “Undercover Boss,” I don’t know, but I have already found this approach helpful and am excited to share my thorough reviews on all of my sources. 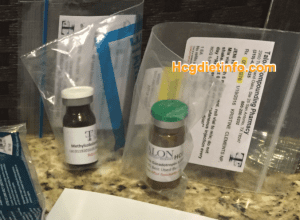 My Hcg ordering experience: I purchased the 45 day kit of HCG injections using Riverfront MD coupon code HDI40 (how to use Riverfront MD Coupon Codes) for a $40 discount on my kit: two 5000iu vials of powdered, high potency Human chorionic gonadotropin (HCG hormone) and all supplies. I also took advantage of their $20 B12 injections which are a limited time offer for Hcg Diet Info readers. How much did Riverfront MD Cost? With the HDI discount and their subscription discount, my total cost to buy Hcg injections from Riverfront MD came out to $147 for each round, plus the $20 for my B12 injections and only $85 for my lipotropics. That cost included my prescription, my actual Hcg injections, all supplies for mixing and injection, my doctor consult, Vitamin B and Lipo injections… I was 100% ready to go. 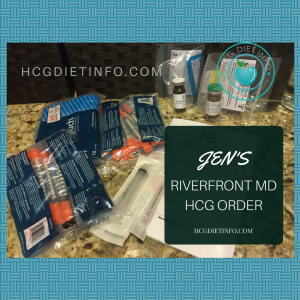 My Hcg injection Kit arrived from Riverfront MD! (2) Vials of HCG (5000iu each) in powder form (unmixed) with a valid prescription label on it. (3) Bags of 10 syringes (Total: 30 insulin needles for self-injection) 30 gauge (tiny tiny tiny insulin needles), 5/16″ long, 1 ml cc volume. (1) 5 ML syringe for mixing. (1) 18 gauge 1 1/2 inch 1.2x38mm needle for mixing. The only thing that I needed to buy was alcohol swabs, but I had these on hand fortunately. 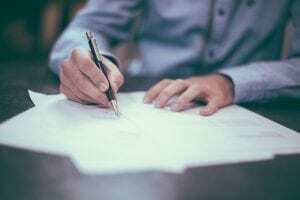 How long did the ordering process take and what was required? I placed my order on a Monday evening. It was a simple process: I selected my preferred Hcg kit and was then prompted to complete a medical background form. This was the same as I have completed in my local doctor’s office and was simple enough to complete via mobile. I had a few questions about their B12, which I was able to ask using their live chat box on the order page. I will say that this was the longest and most thorough of all the sources I have reviewed. In fact, even a full body photo is required via upload. When I asked why, it was to ensure the individual truly needed to lose weight, and to exceed FDA legal requirements for telemedicine practice. A bit of a pain, but I’m grateful for the added security and legitimacy of their program. 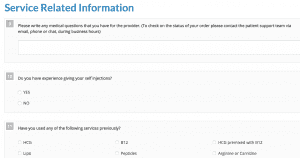 Step 1: After selecting my preferred Hcg kit, I was prompted to complete the medical background questionnaire. There was also a notice at the bottom, letting me know to expect my consultation phone call with the doctor, in approximately 24-48 hours. Step 2: They offer a brief overview of what is included in the forms. 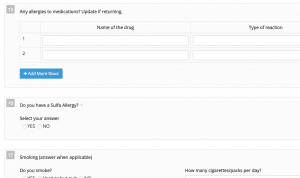 Step 3 and 4: The medical form is the longest of any of the suppliers I have reviewed. 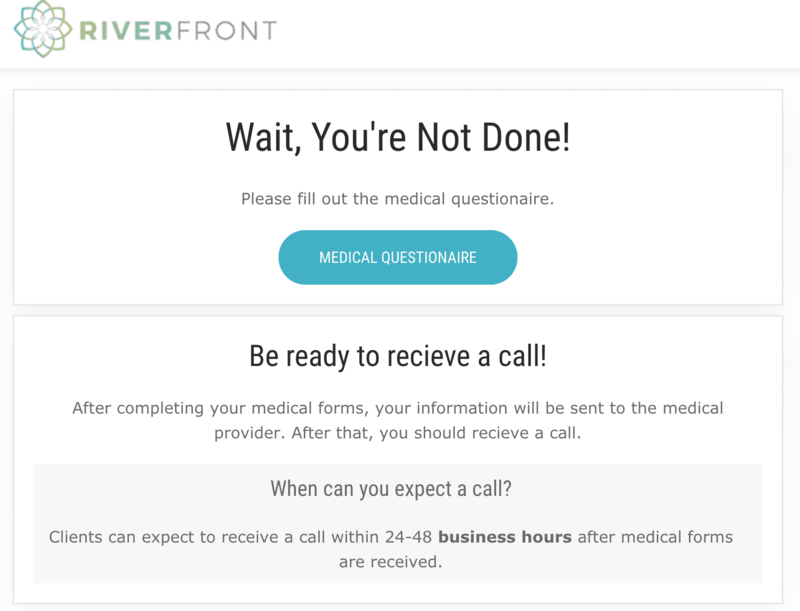 Similar to the forms you would complete in a local doctor’s office, Riverfront goes over the same basic questions: Height, weight, etc. Any known allergies including to prescription medications. 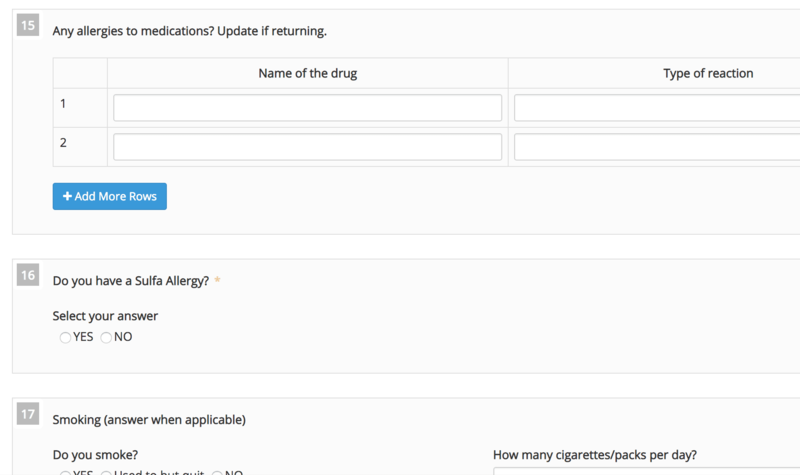 It also asks if you have ever had cancer, smoke regularly, etc. You know, the same as any doctor or clinic would ask. It is also required to upload a full body, clothed photo of yourself. I had hubby snap a quick one with my cell phone, then emailed it to myself from there, and uploaded it onto the site. It was pretty effortless really. 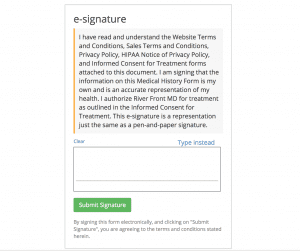 Step 5: At the bottom of the page is a simple e-signature to confirm everything is accurate to the best of your knowledge. 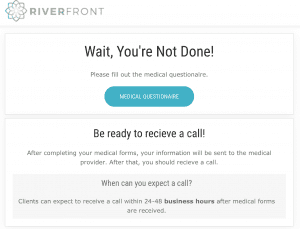 Wednesday morning, I received a call from a medical doctor at Riverfront who went over the medical form I had completed online. Once she confirmed the details of the medical questionnaire I had completed online, she asked me a few health-related questions, and then approved my prescription over the phone. She let me know that my prescription would be sent to their pharmacy and shipped directly to me from their location in Florida, USA. The time for the approval was about 15 minutes, and another 15 minutes for my questions and going over the protocol. How Long Did Shipping Take? My HCG shipped from Florida, as the physician had said, and took 3 days to arrive- It arrived faster than expected so I didn’t have time to break out my trusty Hcg Diet grocery list yet. 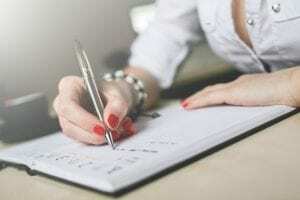 Honestly I thought I would have more time to make a personalized list of loading foods, or at the very least add an 500 calorie hcg diet menu to my fridge, and gather some hcg diet recipes. Total time that I received my kit from ordering day: 6 business days. There was also an option to use expedited shipping, but I didn’t opt for that this time. Compared to my other recommended sources, this was the slowest delivery time. 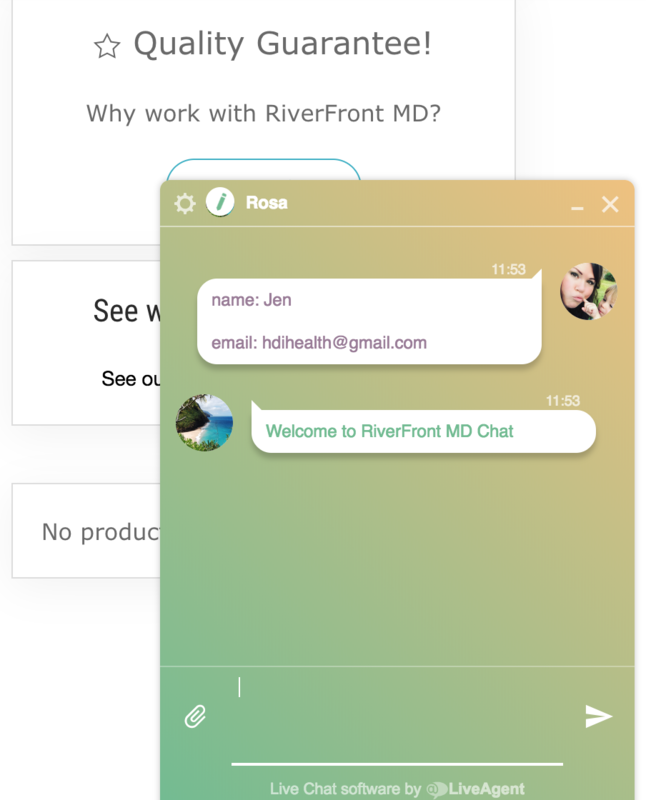 Riverfront MD is an excellent telemedicine clinic and works with a reliable pharmacy for high quality Hcg and other prescription products. 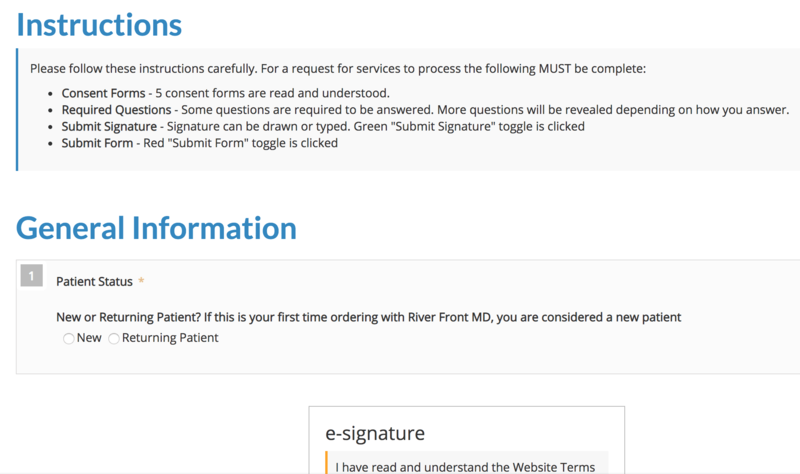 The ordering process was simple, and extremely thorough when it came to the required medical forms. I liked that everything was included in my kit, with the exception of alcohol swabs. Since those are just a few dollars, I didn’t mind that these weren’t in the kit. Order processing takes 2 to 3 business days, which makes it significantly slower than my other recommended sources that offer instant processing. If I were in a rush, this would not be my first choice. In addition, their guidebook was based on their “alternative protocol” with significant variations to Dr. Simeons original protocol. Their coaching was aligned with this as well. When I asked if they would be able to support my choice to follow the 500 calorie diet, the doctor said this was my choice and was ok with that. 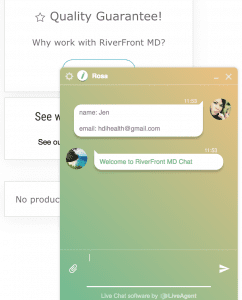 Overall, I think Riverfront is an excellent option for those who are experienced with the Hcg Diet Plan, and are not in a rush to receive their order within the week. 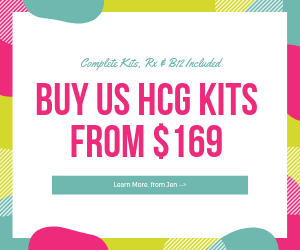 As far as saving money, this was hands down, the cheapest and most affordable option for a complete Hcg kit. I hope you found my Riverfront MD review helpful. If you have any questions about my order, feel free to comment below, reach out in the forums or email me directly- hdihealth (@) gmail.com. My next post will be on my preparing for the hcg diet. I will be sure to include an HCG Diet checklist for those just starting out. About me: My name is Jen Larson and I am the founder of HCG Diet Info, the first and only leading authority on the HCG Diet Plan. In 2002, I lost nearly 90 lbs on the HCG Diet and was inspired to start this website to help others change their lives too! Today, I am considered an expert in the medical weight loss industry, and largely focused on sharing my knowledge and experiences with those in need. Read my Hcg Diet blog to learn more about me. Finally something that works! Like just about everyone else here, I’ve been on every diet imaginable. Some gave me results for a short time, but I always gained back even more than I had lost. I have now completed 3 rounds of hCG with Riverfront MD and I have had just fantastic results. I went from over 210#’s and a size 20 dress to 161# and a petite size 12 dress. I have had no problems maintaining because the diet itself, changed my cravings and interest in food. I now WANT to eat the foods that were allowed on the diet and have no interest in fast food etc. I’m so grateful for the hcg weight loss program; I can’t even find the words. I saw fast results and now my life is just… changed forever. I would recommend this to ANYONE that wanted to lose weight for good. ~Judy S.T. This diet is the only thing that has ever worked for me. I have lost 109 pounds. The greatest feeling, is being able to walk into any store, take 7 items to the dressing room and have them all fit and look amazing on me! My husband is also just so incredibly proud of me and that is just icing on the cake. So grateful for the Hcg diet. – Liv T.
No longer “obese.” This may sound funny, but seeing my BMI go down below the “obese” mark on the scale… was a tearful moment for me. I don’t remember the last time I was in this range. I have now lost over 60 LBS. and it feels amazing- like I can breathe again, and move differently. That’s a beautiful thing. – Dena J.
I had that moment yesterday… When my Dad brought out the camera for the holiday pic and for the first time in years, I wasn’t trying to hide my body behind someone. I have lost over 26 pounds in the last month and I feel amazing. I’m still in Phase 3, but I’m amazed at how simple it has been to NOT want to eat that chocolate cake, and blow my results. I have 1 more round to go and I’m actually looking forward to it. – Stefani L.
Never trying another diet again. This works. I am on day 28 of a 40 day long with HCG injections. I have already gone from 148 pounds to 124; I have lost just shy of 24 pounds already and can see the finish line already. By the way, I tried weight watchers and so many other diets. I struggled with them for years, not seeing the results I wanted. Now, in less than a month, I am already almost at my goal with HCG! – Terri W.
A skeptic turned medical weight loss believer. 140 pounds lost. I have lost 140 pounds with Hcg injections and it has changed my life. I have been on diets since I was a teenager and the yo-yo dieting was just out of control. I have now maintained my weight loss for 2 years, and am still well within the “healthy” range for my age, weight and height. I honestly never thought that would be possible. ~Susan P.
Jen what company did you like better …New Edge or Nu Image? You have that Nu Image has the highest potency so are they better? I didn’t see your review on them. Hi there! I honestly love them both but Nu Image is by far, the “Cadillac” of Hcg Suppliers. For my 3rd round, I’ll be ordering from Nu Image again because of the high potency factor and 5 day delivery. Both have been fantastic; both have U.S. made hcg (I only trust U.S. HCG suppliers) and both include all your supplies. If you are really new to the diet, I would recommend Nu Image mainly because they do such an amazing job holding your hand through the entire process. On the other hand, if you want pellets, I would suggest New Edge because they use a form that can be cut in half if you later need to cut your dosage (which they are happy to guide you through.) If you are going with hcg drops, I would recommend Nu Image above anyone else for Rx grade. 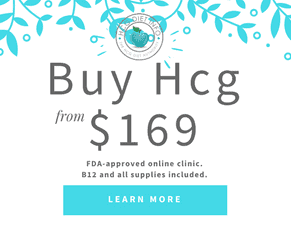 If you are going with homeopathic, then I have a company listed on the buy hcg page for that. I hope this helps! Let me know if you have any other questions- hdihealth (@) gmail. Good luck! I just received an order from Nu Image and they only included 2 alcohol swabs to be used with mixing so I had to buy more to use daily when giving the injections. They’re cheap so it’s not a big deal, but didn’t want people to think that they would received everything they need right away. Sarah, if you call them, they will send more. That had to be a mistake and they are great with customer service and quick to make customers happy. Good luck! Hi Jen, does your discount code work with New Edge to order pellets? When I change products on the website, it doesn’t seem to keep the promo or am I doing it wrong? Thanks. I’m glad you brought that to my attention! Something must have changed when they updated their site. If you call, they can apply the promo but I have already contacted Nu Edge to have them correct their sales page. Thank you so much for bringing that to my attention! I just ordered from nu image, and my total order cost 800$!! I had no idea about the discounts- can you really get it all for 196$??? Hello Colleen. Omg yes! Nu Image & New Edge give HDI readers an exclusive discount. Call them, let them know you are an HDI reader and ask if you can get Jen’s discount. They are really great- I’m sure they won’t have a problem adjusting this for you. If you have any problems, email me – hdihealth ((@)) gmail. Hi Jen! Have you tried the tablets/pellets from Nu Edge or know anyone who’s had success with them? I take it you prefer the injections, correct? Thanks in advance! Hi Elaine! I have only tried the injections myself- I think I may try their pellets on my next round, just to compare. I have heard countless success stories though so I feel comfortable recommending them. I have really just stuck with injections because that was all that was available when I started the diet; it worked so well back then, I just opted to go that route again when to lose the pregnancy weight. Hi Jen, I just found your site tonight! Love it!! Thank you! For now I just have one question, I have plenty more, but this is the most pertinent. I started at 186.9, I’m not sure off the top of my head which day I’m on, but I have 7 shots left (doing 40 days). I’ve lost 28, I am a professional dieter for 30+ yrs. I have never found anything like this, it’s amazing. However, I have always been a super hot person, now I can’t get warm wearing 2 long slevee shirts and sweats plus yoga pants underneath. Have you heard of this? Congratulations on losing those 28 pounds in your first month! Great job! I hope you are really celebrating that achievement. I have talked to plenty of people who have experienced feeling cooler or warmer than usual on the diet. I tend to feel warmer than usual myself. (I’m normally that girl who always has a sweater stashed in her purse because I’m always chilly!) From all my research, I understand that it is a result of the 2 degree shift hcg makes to your hormone cycle. Sometimes it shifts your body temperature, changes your sleep patterns (many sleep better while taking hcg or Lipotropics) or see an increase in energy levels. Once you transition to phase 3 (maintenance phase) you should return to normal. Please keep me posted- I would love to know how your personal experience is. Have you ordered HCG through US HCG or only their Lipo? Is the potency of their HCG as good as with the other two suppliers you recommend? Hello Cathy, I have recently ordered hcg from US Hcg Shots but have not tried it yet. Right now, I am still using New Edge Health’s Hcg. I’m losing so well with them, I didn’t want to switch just yet. I will be trying US Hcg next and will post my personal review of the ordering experience and how I do with their Hcg. Their Lipo is fantastic though so I’m eager to try their Hcg as well. Hi! Jen thanks for all the information. 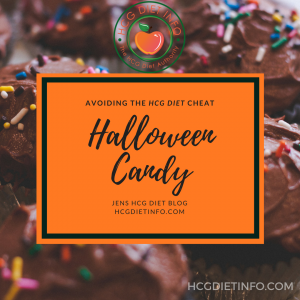 All I can tell you, is that there are many many many others that have successfully completed the hcg diet while also taking anxiety and depression medications. There is a nurse in our forums that can answer specific questions- look under the “Hcg Diet & Medical Conditions” section. Her name is Katz and she is incredibly knowledgeable about the diet and in medicine in general. I hope this helps! Thank you, Jen. I will look for the information. ? My pleasure Nancy! I’ll look for you in the hcg diet forums! What exercise do yoh do to counter the flabbieness after weightloss? Also I sneeze so much after my sublingual drops. Have you ever heard of that? You know, in all my years of talking to thousands of hcg dieters, I have never heard of anyone sneezing after hcg drops! Gesundheit! As for the flabbiness- I just stick to yoga and it keeps that at bay. I also like using resistance bands and I find those tone amazingly well. Hi Janet! So sorry for the delay- I have family visiting this week. The Nu Image Medical promo/discount is automated from the link on the Buy Hcg page. If you have any problems, you can email me. 🙂 WELCOMETONU should work again now though, and you can use it over the phone or just mention HCG Diet Info. HI Jen – I wish I had the same experience as you with New Edge. I ordered on August 11, was approved by the practitioner on Aug 12, and still have no HCG. I was locked out of my account, no one ever answers the phone or email , Finally on Aug 22 I had an email telling me they were behind in filling orders. I have no idea when I receive my HCG diet kit. I currently don’t have a good feeling about this company..
Lisa, another reader contacted me about this so I reached out to the owner, Jonathan. They had some unexpected changes come up that threw their usual 5-7 day system off for several weeks. They were already going through a move and a management change, and then suddenly made an ethical choice to take on some extra workload to help their preferred compounding pharmacy that was randomly reviewed by the FDA (thank you FDA for the serious inconveniences yet again!) It really ended up throwing things for a loop. They have hired several new staff members to get things back on track and my understanding is that as of today, they are caught up and things are getting back on track. It is so unfortunate- they have been around for years and this is the first time I have ever heard of anyone having any issues with them. Lisa, if you want to reach out to me privately (hdihealth (@) gmail .com), I can see if I can help more than just an explanation, if it would help you. I realize it’s frustrating when you are trying to establish a much-needed plan for this diet and suddenly, you’re put on hold and notices are slow coming in! Hopefully, that has all come to an end now and they will be back on their usual speedy path. I ordered from New Edge and somehow it doubled my order (thanks, technology ha!). I’ve been calling and I’ve emailed them. No one has responded or picked up a phone call. Have you dealt with this company recently? I’m getting nervous as $1000 is a big difference from the $500 i was prepared to spend and no one is answering or calling me back. I just was to resolve the issue before they actually ship anything. Hello Carly, don’t worry- I have had a few readers do the same thing and it was always handled without an issue. Do be patient in getting through to them; as I shared in my previous response, they had an unexpected hiccup in their usually, “clockwork system” but they have hired new staff to catch things up and get back on track. Hey Jen. I am currently on the HCG diet through my doctor. I want to continue after this bottle is done and have been reading all of your information. I wanted to go this route because it’s cheaper than what the doctors offers the HCG. Do I need the Lipo or is that just something additional you can add? To my knowledge, I’m not taking it now, unless it’s premixed in with the HCG. I have been on it for almost 4 weeks and have lost 17.5 pounds. What are your thoughts and suggestions about whether or not to use the Lipo along with the HCG? Hi Heather, Yes, I don’t blame you- local doctors charge crazy money for their Hcg Diet programs and the Hcg itself. I personally like the Lipo but it’s in no way necessary; just a matter of personal preference. In fact, some of my forum moderators prefer not to use them. I am at goal now but I still get the Lipo shots frequently; they’re great for my pre-workout routine and I definitely notice a difference. Hi Jen, I referred a friend to New Edge last week. She placed the order, was called back the next day and was approved for the hcg. She received the confirmation email on and as of today her account still shows its not been shipped. As others have mentioned, when she calls…she gets no answer. She’s about to call her credit card company and stop payment because its taking so long, but I want her to wait until I can get some info for her. She has never ordered hcg before so she is a little skeptical. I’ve read and understand that they had some FDA issues a few weeks ago, but that seems to have been taken care of by now. So do you know of any other reason she might not have gotten some shipment tracking info yet? What is the usual turn around time to receive the hcg? I ordered from New Edge and having same difficulty as others. locked out of account and not sure if I will get hcg in a timely manner. Hope this gets resolved quickly !! How did it work out Erin? I locked myself out of my account once (I just couldn’t remember the correct password for the life of me) but they fixed it within the hour. Did you get it resolved ok? Hi – I had the same exoerience with NewEdge recently. Placed order but have heard nothing. Hope to get HCG in a timely manner. I’m playing a bit of catch up on responses… my brother passed away earlier this month unfortunately, so I took a little time off. If anyone wants to post their recent timeline to help others with this question, please feel free! I love the recipes. It really helps me stay on track in a very busy life. I’m so glad Rebecca! Let me know if you have any requests for specific recipes! Anyone know if the turnaround time is any faster? I would rather order elsewhere if it is going to take two weeks. Hi Jen! Is there any medical reason why someone would chose injections over the sublingual tablets? I know you said you chose the injections because you at least know they work. But does the body treat either method differently? Thanks! My honest take on this, (and I’m asked this question a lot) is that MOST people do great with injections or sublingual hcg tablets and both work. However, SOME people don’t do as well with the tablets as with injections. Everyone is different- the safe bet seems to be injections and there’s a small chance that tablets won’t work quite as well as the injections. Which did you decide to go with and how are they working for you? Please keep me posted so we can share the wealth of hcg information! Jen, I’m new to this forum and appreciate the wealth of information. And I’m so sorry for the loss of your brother. Thank you so much for your kind words Lale. Welcome to HDI and I’m so glad you are finding the information you need! Feel free to ask any questions you may have! Jen, thanks so much for your insight and helpful suggestions during your journey. I did the injections through a clinic back in 1980 to lose 50 pounds before entering the Air Force as a nurse. Kept that off until second baby in 1989, Did the drops again in 2010 to lose weight before going overseas as a Diplomat with my AF husband and lost 50 pounds but within the next six years it all came back through my eating habits. So I am on my 3rd set, 60 years old, and doing the injections from USHCGshots. Any problems from them? I am using HCG 5000 per vial reconstituted per their instructions and using a 31 G needle used for U-100 Insulin. I have been told to use 17 units each time (syringe is marked off 10 to 50 units). Is this the correct amount from what you are used to? I used the patches for the first week waiting for the injections as I wanted to get started (lost 12 pounds) and plan on doing two cycles of 40 days with 21 days in between each cycle without the injections. I am hoping to lose my 50 pounds before we go on our 30 day cruise from Australia to USA. I look forward to reading all your blogs and very thankful for finding you here. Thanks so much for all the valuable information. I also placed an order 10 days ago with New Edge Health and while my CC was charged a week ago I have not received any information on when my order will be shipped. I have tried sending emails – which get unanswered. Nobody answers the phone either. With slow turn arounds and poor customer support,I will certainly not be a returning customer. Hello Vierah, I do not know what exactly is going on with New Edge, but I have spoken with the owner of the company several times. I was told they are growing and making significant improvements but I am sad to hear they are still not back to the efficient response-times they had. Myself, I just ordered from Nu Image for this round- my order was at my door in exactly 5 days! 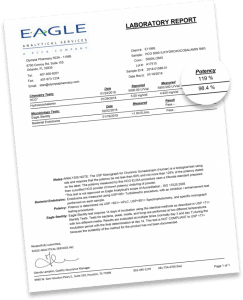 They are slightly more expensive than New Edge, but Nu Image is known as being the “Cadillac” of all Hcg suppliers, and they have excellent customer service. I also taken into account…I am eating so little food over the next month, it evens out compared to what I spend on my Hcg and Lipo/B12 etc. I am thinking of starting this diet and I was wondering if you recommend the Old HCG or the New HCG diet format. Hello Andrea, you know, I think I have outgrown the idea that there is only ONE correct way to do the Hcg Diet. 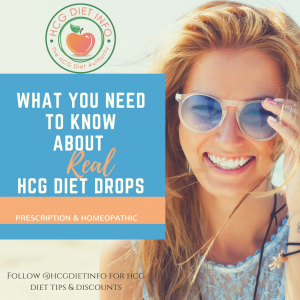 I have had over 100 million readers to this site, and millions of dieters… I can tell you that there are now thousands of Hcg Diet protocol variations, and there is no one version that works the best across the board. It depends on the person and what fits their own needs and preferences. I am just finishing a post that shares my own personal approach to the diet. So far, this round has been the easiest and most successful of all. I look forward to sharing it with you and hearing your thoughts. Can you stilll get real HCG? Yes Leah, the sources listed on my “Buy Hcg” page are all real Hcg. I know there are a lot of fake brands and even watered-down brands now, which is why I only recommend the ones I KNOW are legitimate. I hope this helps Leah! I am new at this. I am 41 years old and find it so hard to lose weight and I would love to just get rid of it all. I have found your page during all my internet search and I had a question – Which do you find more effective shots, drops, or pellets. I would assume the shots but how effective are the drops and/or pellets? Please whenever you get a moment to answer. Thank you. Hello Rose! I prefer Hcg shots but honestly, I have seen plenty of success stories with all variations. The needles are soooo tiny I don’t even feel them, and it’s what I have seen the most success stories from. Drops would be the next best thing, based on the success stories I have seen, and pellets would follow up after that. For anyone else that reads this and is curious- I do NOT recommend the “sprays” or similar. I just cannot recommend these because I don’t feel they are legitimate, and I have seen sooooo many bad stories on these from my readers. Hello this will be my first time trying the HCG Diet. However, I hear so much about this product. Thought I give it a try. Thank You for all the Helpful Information..
Hey Jen, I’ve enjoyed reading your information and seeing how much things have changed since I did the HCG fifteen or so years ago. I looked through your sources kits, and my one question is whether you know of any suppliers who still give the option of Intramuscular needles (yep, the big ones) rather than the SubQ insulin needles? I’ve never done the smaller ones, so I have reservation about doing it with those. I chatted with a rep from Nu Image who said they only do the SubQ. Incidentally, I can tell you with great authority that you can only gorge on peanut butter cookies for a year after doing the HCG diet before you start to gain the weight back… lol. I tested it many years ago and paid the price over time. Hi Jen! Your site is so informative and helpful, thank you. I just filled out apapplication fir HCG with NU! I’m excited because I just paid $900 to my dr for 6 weeks of hcg and only lost 1 pound!! Quick question about Nu. 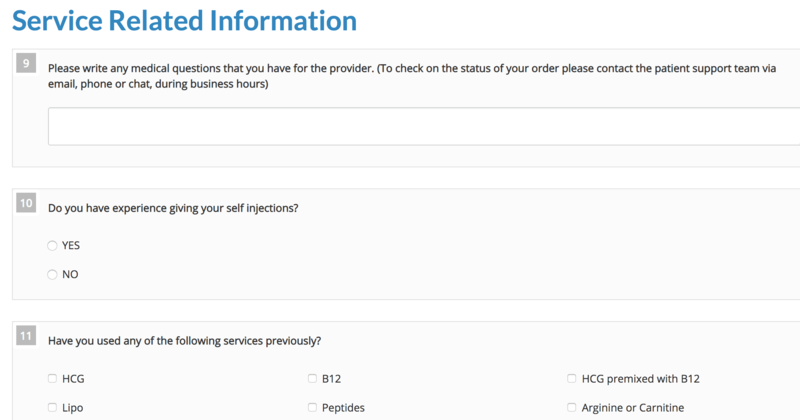 Do you have to go get blood work done before they send you hcg? And how much weight have you lost using Nu? Sadly, I hear this all the time and I’m so sorry you had that experience. The sad truth is, most local doctors and clinics honestly don’t know how the diet works, so they vary it to meet “traditional” standards…. and then charge you a fortune to NOT lose weight! If it wasn’t so sad, it would be funny. I’m glad you are on track now though! 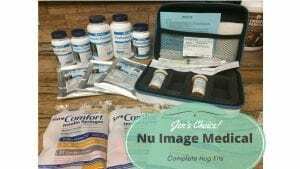 Nu Image has excellent quality Hcg and their kits are really nice; they include everything and it’s all accurate supplies so you don’t need to buy anything else. My last round, I lost 26 pounds of post-baby weight. One thing to take note though: they start everyone at 200iu dosage. While some people do just fine with this, a lot of people end up having to lower their dosage or they find themselves ravenously hungry. There are articles here on the site for this, and also in the Newcomer’s section of the forums. If you do find yourself needing to adjust your dosage, Grammy (our chief-ninja moderator) has some excellent tutorials and can offer guidance in the forums. 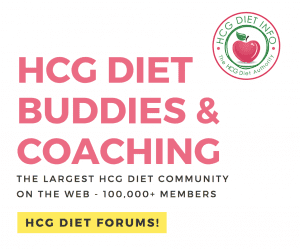 In fact, if you haven’t joined already, I highly recommend you do- we have a really supportive community of Hcg Dieters there, and lots of veterans to help keep you on track and answer questions. Oh, and feel free to say hi to me there!